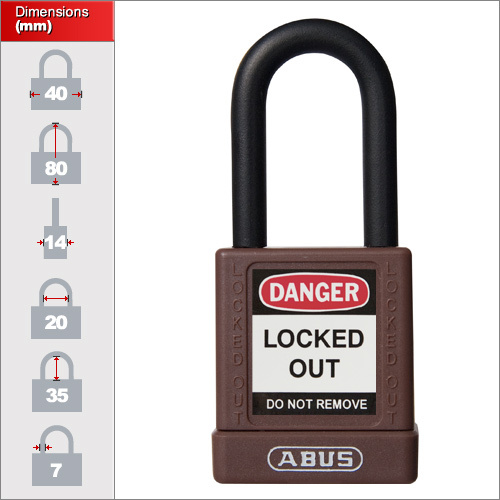 ABUS have taken a long while to enter the Safety Market but they have done so in style. 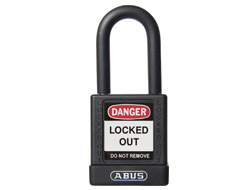 The new 74 series is a fully non-conductive padlock with am insultated shackle. 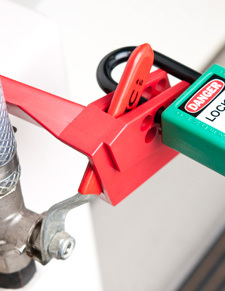 The mechanism has key retaining cylinder to prevent the lock being snapped shut without the key holder present. They outshine others in both quality and reliability. 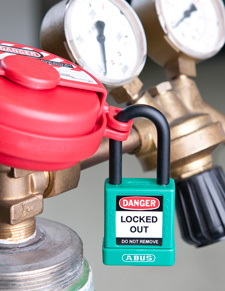 Both hugely important when considering a lock for safety lockout purposes. 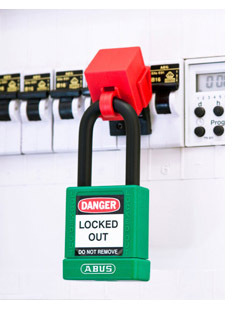 They can be used on their own or in conjunction with a number of other locksone a sinlge lock-off hasp. For security these locks are only provided with a single key. 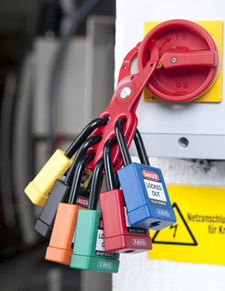 This prevents two keys being accidently distributed to more than one person. We do not provide additonal keys with this model. There are 10 colours in the range each keyed alike to a different suite. Please use the drop down menu above to select between them.